Nonstop Knight is a new mobile game by Flaregames that’s now available for Android and iOS platforms. It’s designed to be a more casual game than most other games of its kind, and easy enough to play with just one thumb. 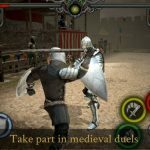 In terms of its mechanics, it’s an action RPG, which you can play at your own pace, and unlike other games set in mythical settings, there’s very little to learn here – kill enemies, kill bosses, earn gold in the process, and upgrade your knight so that he’s up to speed against the enemy. 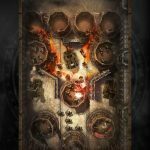 You can also discover new skills while in the heat of battle, and also play the game without any Internet connection – no social element whatsoever here, though you can always compete against friends and other players as you climb up the leaderboards. Yes, Nonstop Knight may seem like an easy game to pick up. 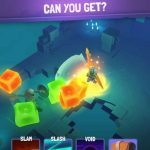 However, in order to enjoy the most success while playing it, we think it would be better to read our Nonstop Knight tips and tricks, which will talk you through the basics of learning this fun and strangely addictive new game. 1. 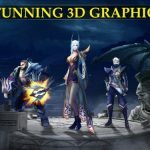 Should You Spend Some Money At The In-Game Shop? This is a good question, as in-game shops are often hit-or-miss propositions. We would suggest that you do in Nonstop Knight, as the in-game shop could be the perfect chance for you to add to your collection of revive potions, or to buy instant knight upgrades. These upgrades may do a variety of things for your knight, such as give him an attack bonus, improve his defense, or allow him to earn more coins. In as much as possible, we like to discourage gamers from spending real-life money on premium currencies. Yes, there are times when we cannot help it, especially if there’s some money to burn, but when it comes to Nonstop Knight, we would definitely discourage you from wasting your actual dough on gems. What you can do instead is to turn off your game and have your knight gather a pot of gold. When the game is off, your knight is doing some background fighting, which means he’s earning you cash while you’re presumably buried in work or in homework, or sound asleep at night. Make sure you’ve got your phone notifications set up properly. That way, your device (and the game) can inform you if you’ve got a boss fight coming up. While your knight can do almost everything else on his own, you will need to step in for those boss fights in order to ensure the best chances of winning. But don’t worry either about getting killed while you’ve got the game in the background – it seems that human-controlled characters don’t die in such a situation. No shame in running away and living to fight another day. You will be shown your odds or difficulty of defeating any given boss, and if the fight is showing as Impossible or Very Hard difficulty, then you’re better off avoiding the confrontation until you improve well enough. If you insist on fighting the boss battle even if the difficulty level is too high, there’s a very good chance you’ll be taken out at some point in the battle, and you may even use your revive potions when you shouldn’t. What you should do instead is to wait it out, upgrade your highest-quality equipment, and do so in order to improve your attack and defense stats. Once you see the difficulty level at Hard, it will then be plausible for you to beat the boss, if a bit challenging. And once you see it at Ready difficulty, things will be so easy that fighting the boss battle should be a mere formality. Once you’ve got a new rune, the first thing you should do is to upgrade your special powers. You can do this by going to Skills – once there, you may see a gold cross in the top right. Tap on that icon, and you will be taken to the rune menu, which details all of the available runes and their respective bonuses. Take a good look at the bonuses and learn what they do, and use those new powers to your advantage the next time you have to fight a battle. This is our list of tips and tricks for Nonstop Knight. If you happen to know other useful tips for the game, don’t hesitate to share them with us in the comments section below! UPDATE: If you need some hints on how to earn more coins and get better gear in the game, then we suggest you to read our second Nonstop Knight strategy guide!